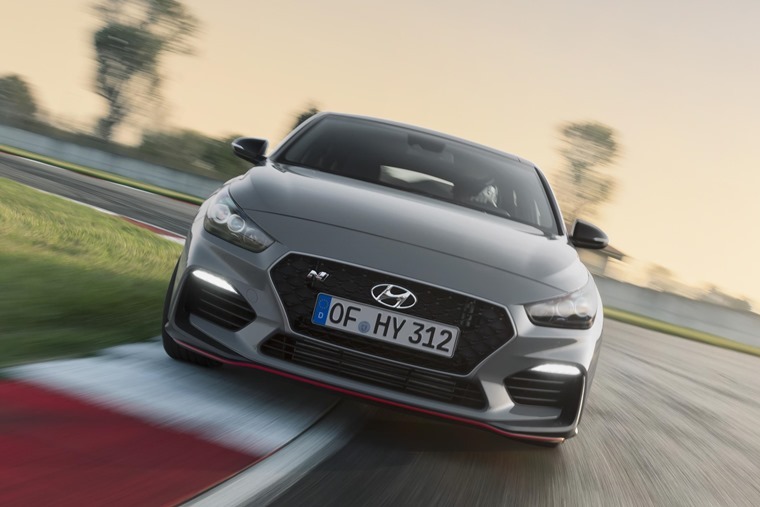 Having made its way from Rome to Paris in a mere 8 minutes and 18 seconds last year (two villages located in western Denmark and separated by 12km of winding roads, not the cities), it’s about time Hyundai got around to revealing the prices and specs of their latest performance model. On sale from 21 January, with lease prices following soon after, the i30 Fastback N is a standalone model priced at £29,995 on the road. 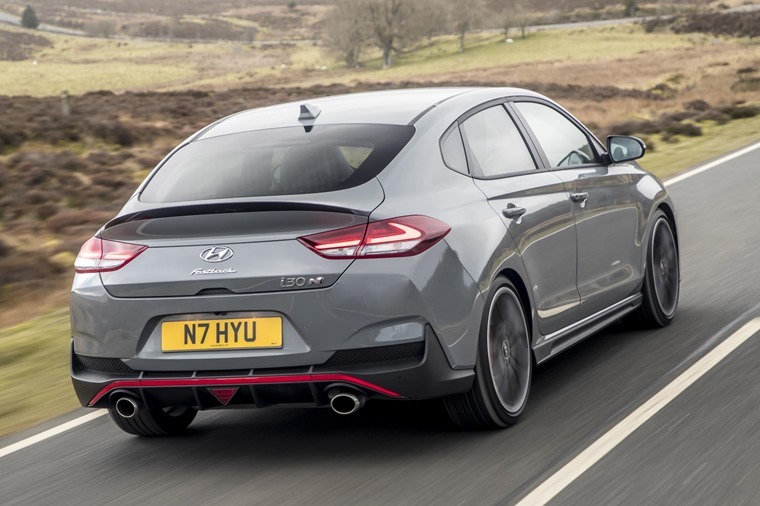 The all-new i30 Fastback N is Hyundai’s second high-performance model in Europe and follows the i30 N five-door hatchback. As the first and only five-door performance coupe in the C-segment, Hyundai stand as undisputed champions so it will be interesting see if any other manufacturer rises to the challenge. Though two power outputs will be on offer, only the i30 Fastback N Performance model will be available in the UK. This features 272bhp from the four-cylinder 2.0-litre engine. Font-wheel drive as standard with a six-speed manual gearbox it goes from 0-62mph in 6.1 seconds. It also features 19in alloy wheels, an electronically controlled limited slip differential, adaptive dampers and a sports exhaust system. Five different drive modes will be available including Eco, Normal, Sport, N and N Custom which will radically change the vehicle’s character. As is to be expected, the all-new i30 Fastback N has received many design features of its five-door hatchback sibling. 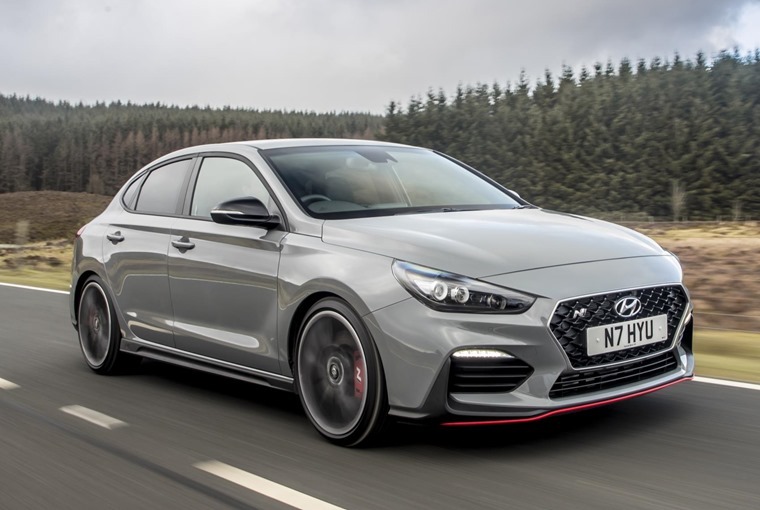 The exterior features the elegant i30 Fastback shape which has been merged with the dynamic features of the i30 N five-door hatchback. As a result, the i30 Fastback N showcases a dynamic-looking N Grille and the N front bumper, as well as a unique rear bumper, both of which are highlighted by a red character line below. The black side sill of the lowered body further underlines the model’s sportiness. Moreover, the rear features the dual twin muffler exhaust and a generously arched rear spoiler that is integrated into the tailgate. To highlight the rear spoiler, a glossy black accent has been inserted to further emphasise the specific N appearance. 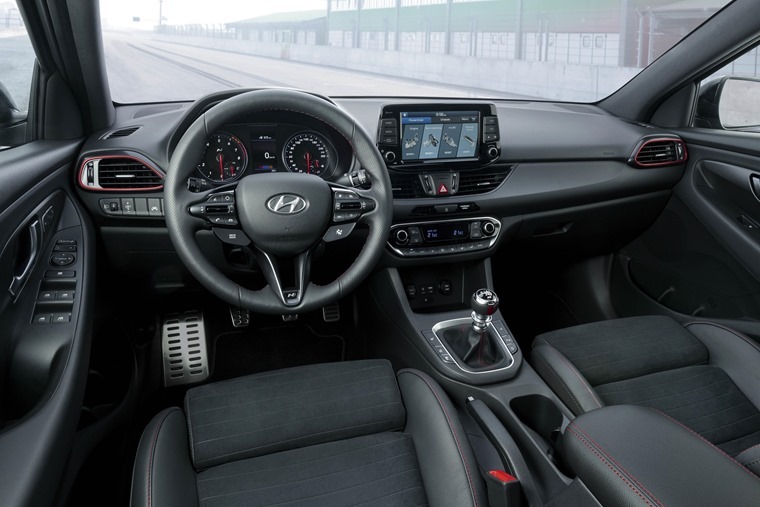 The All-New i30 Fastback N’s interior is clean and sleek. Its centrepiece is the exclusive N steering wheel. The sporty interior design does not compromise the everyday usability either with luggage capacity a generous 450 litres, increasing to 1,351 litres when seats are folded flat.